Kyle Stanley blew a 3-shot lead on the last hole of the Farmers Insurance Open at Torrey Pines. His third shot on the 18th hole spun back into the water for a penalty, then he chipped on but 3-putted for a triple-bogey 8 to tie Brandt Snedeker, who had assumed his day was over. In the playoff, Snedeker won on the second hole when Stanley missed his par putt. Stanley had a 7-shot lead mid-way thru the final round, but had 3 bogeys and the triple-bogey on the 18th hole for a 74, finishing in a tie with Snedeker who shot at 67. It's Snedeker's third win as a pro. 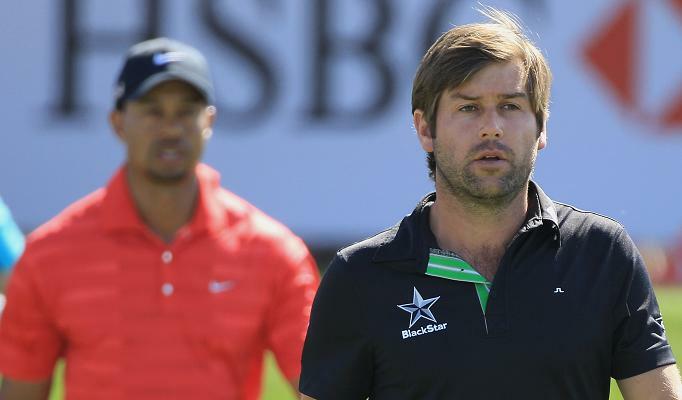 Robert Rock held off Tiger Woods, Rory McIlroy and a strong field to win the Abu Dhabi HSBC Championship at -13. Rock is a former club professional from England with just his second win on the European Tour. Rock and Woods got off to a hot start, with birdies on holes 2 and 3, but Woods bogeyed holes 4 and 5 and missed too many greens with 3 birdies and 3 bogeys, finishing with a 72 for -11, tied for third place with Thomas Bjorn and Graeme McDowell. Rory McIlroy made a run with 4 birdies and 1 bogey but came up one shot short with a 69 for -12 and second place. Over on the PGA Tour, after three rounds at the Farmers Insurance Open at Torrey Pines, it's Kyle Stanley at -18 with a five-shot lead over John Huh and John Rollins. PGA notables in contention are Brandt Snedeker at -11, Justin Leonard at -10, and Bubba Watson at -8. 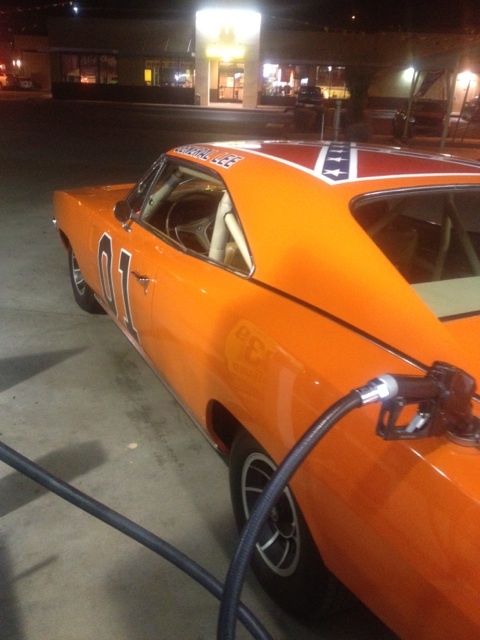 Bubba Watson made news off the golf course last weekend, buying the original "General Lee" Dodge Charger car from the "Dukes of Hazzard" TV series. Bubba announced the news on Twitter with the tweet "Last night I bought some gas!!" Classic. 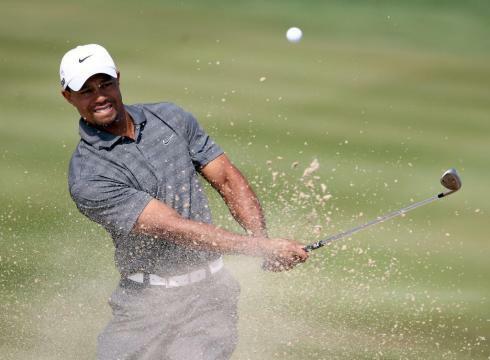 Tiger Woods shot a 66 in Round 3 of the Abu Dhabi HSBC Championship on the European Tour. Woods is leading the tournament in the Greens-In-Regulation stat, and had no bogeys and 6 birdies today, including a birdie on the par 5 18th hole. Woods' rounds of 70-69-66 put him in first place at -11, tied with Robert Rock from England. Rory McIlroy, who played with Tiger in all three rounds, finished at -9, as he struggled driving the ball, but scrambled for a 68 in the third round, including an adventure on the 18th hole that McIlroy played over the sand and water up the 9th hole fairway, eventually saving his par. Remember that McIlroy imposed a 2 shot penalty on himself in the second round, for brushing sand away from the fringe, so without that penalty, McIlroy and Woods would be tied. Also in contention are Peter Hanson, Francesco Molinari and Paul Lawrie, all tied at -9 with McIlroy. You can play the same putter that Tiger Woods is using in Abu Dhabi. The NIKE Method 001 Putter is now available as an upgraded virtual club on the World Golf Tour free online golf game. Like other upgraded virtual clubs, the NIKE Method 001 putter on WGT is modeled precisely from the same real-world putter that Tiger is playing. Tiger Woods and Rory McIlroy are only 2 shots behind Thorbjorn Olesen after two rounds at the Abu Dhabi HSBC Golf Championship, a European Tour event. Tiger, playing in his first 2012 golf event, had 5 birdies and 2 bogeys in his second round, shooting a 70 and 69 for -5 overall. Note, Tiger returns to the 2012 PGA Tour at the AT&T Pebble Beach Pro-Am 2/9-12. Rory played with Tiger and had 6 birdies and 2 bogeys but also 2 double-bogeys, shot at 67 and 72. Meanwhile, over on the PGA Tour at the Farmers Insurance Open at Torrey Pines, after one round it's Spencer Levin and Kyle Stanley sharing the lead at -10 after each shooting 62 in the first round. PGA noatables in the hunt include: Vijay Singh -8, Justin Leonard -7, Camilo Villegas -7, Dustin Johnson -6, and Rickie Fowler -4. Phil Mickelson shot a disappointing 77 at +5 and in danger of missing the weekend cut, projected at -2. The final results are in for the Championship round of the WGT Fall Tour! After three months of Qualifying tournaments, the top 9 qualifying players competed in a grueling four-round Fall Tour Championship this month, played across several challenging virtual golf courses, including St Andrews, Bethpage Black, Oakmont Country Club, as well as the new WGT Best of Hardest Holes course. Legendary WGT player BolloxInBruges emerged as the Fall Tour Champion, shooting 60, 57, 55 and 59 for a combined score of 231. He received a $1,000 Amazon Gift Card to add to his career golf earnings. If you want to see Bollox in action, here's a replay of his hole-in-one on Oakmont #6 this month while practicing for the Championship Round. It was a close competition, with dansamcam placing second at 5 shots behind with a score of 236, and RUNWME and Hanswurst72 tied for third with scores of 238. Congratulations to all the qualifiers for a great championship! 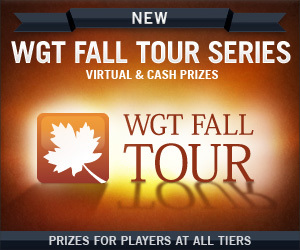 It's not only top WGT players who won prizes in the WGT Fall Tour, as there were random sweepstakes prizes for players at all Tiers in each monthly Qualifier. And don't miss your chance to win in the new WGT Winter Tour, brought to you by SkyCaddie, by playing in the free January Qualifying Tournament. Players with the Top 10 scores in each monthly Qualifier received Amazon Gift Cards. And don't miss your chance to win in the new WGT Winter Tour, brought to you by SkyCaddie, by playing in the free January Qualifying Tournament. Mark Wilson held off the winds, the darkness, and three other PGA players to win the Humana Challenge. Some golf fans may be surprised that this is already Wilson's fifth career victory, including winning two of first five events last season, so he's off to another great start. Wilson finished at 24 under, two strokes ahead of Robert Garrigus, John Mallinger and last week's Sony Open champion Johnson Wagner. And Jeff Maggert shot a 64 in the fourth round to finish in third place. In his return to the 2012 PGA Tour, Phil Mickelson rebounded from a slow start to make the cut and finish at 10 under in a tie for 49th place. The PGA Tour heads to Torrey Pines golf course outside of San Diego for the Farmers Insurance Open, where the defending champion is Bubba Watson. With Ben Crane on the PGA leaderboard, you just have to watch last year's classic "Golf Boys - Oh Oh Oh" video, featuring Crane, Bubba Watson, Rickie Fowler and Hunter Mahan. It's one of most watched (and funniest) golf videos on YouTube. While there, check-out all the WGT tutorial and highlight videos, and subscribe to get new WGT golf videos when they're posted. Crane is tied for first place at 16 under with David Toms and Mark Wilson, who separated themselves from the rest of the pack at 13 under. 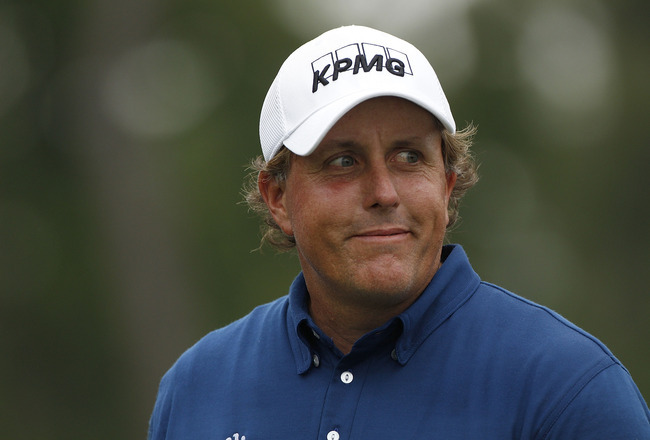 Phil Mickelson bounced back from a 69 to move to 3 under, with defending champ Jhonattan Vegas at 2 under. Dustin Johnson withdrew from his round, citing back pain, as he's recovering from knee surgery. Note, the cut happens after Saturday's round in this tournament, and just the Pro's play on Sunday, no amateurs or celebrities. And be sure to watch President Bill Clinton who plays in an foursome with Gregg Norman and Scott McCarron on Saturday at 10:20 a.m. Pacific. Don't miss the Special Offer on World Golf Tour during the Humana Challenge. 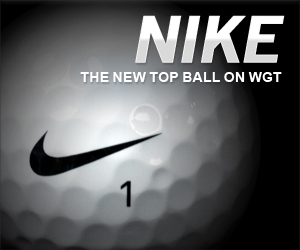 Buy $20 or more WGT Credits and get 3 free NIKE virtual golf balls, the top-performing balls in the game. Use your credits to upgrade your virtual golf equipment, enter paid tournaments for prizes, and play against other WGT players online in matchplay, skins or other multiplayer golf games. President Bill Clinton kicked off the Humana Challenge with a surprise appearance at the driving range, greeting players and fans. After Round 1, Camilo Villegas and David Toms are tied for the lead at 9 under. Defending champion Jhonattan Vegas is at 2 under. While early favorite Phil Mickelson had a double and triple bogey on the back 9 at La Quinta, and finished a disappointing 2 over. Congratulations to the amateurs tied for the lead at 60 (scoring with their golf handicaps): Jeff Caldwell, Bill Eckholm and Chad Brownstein. However, since players move from course to course during the first few days of this tournament, the Humana Challenge PGA Leaderboard tends to change a lot , so it's more fun to focus on the famous celebrities who are playing..
Don't miss the Special Offer at World Golf Tour during the Humana Challenge. Buy $20 or more WGT Credits and get 3 free NIKE virtual golf balls, the top-performing balls in the game. Use your credits to upgrade your virtual golf equipment, enter paid tournaments for prizes, and play against other WGT players online in matchplay, skins or other multiplayer golf games. Enjoy! Starting today through Sunday, January 22, you can get 3 free NIKE virtual golf balls when you buy $20 or more WGT Credits. These new top-performing NIKE virtual golf balls are only available to WGT players at higher levels, but are yours free with this special offer. The NIKE 20XI golf balls feature a revolutionary RZN core that delivers more distance, as well as spin and control, and a slower swing meter on WGT...making it easier to hit perfect shots on clubs with faster swing meters. 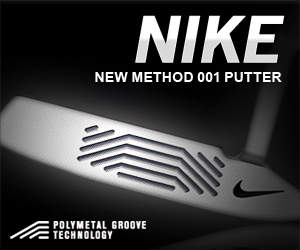 Also from NIKE, check-out the new NIKE Method 001 Putter, now available in the WGT Pro Shop. The Method 001 features new groove technology that provides a better roll for greater accuracy. And the slower WGT swing meter makes it even easier to sink more putts, with meter increments starting at just 10 feet for extra precision. This virtual club unlocks for top WGT golf players at Levels 51 and 77. * Unlimited offer available to WGT players who buy $20 or more WGT Credits, to get 3 free NIKE 20XI-X virtual golf balls, now thru 1/22/12. The PGA heads to the desert this weekend, in La Quinta, Palm Springs, for the PGA Humana Challenge, previously known as the Bob Hope Classic, which has been running for over 50 years. The Humana Challenge is being held in partnership with the Clinton Foundation, benefiting their global health-related charities. 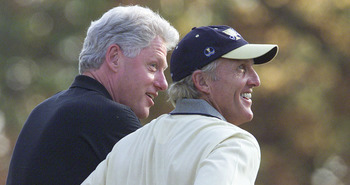 President Bill Clinton himself will tee it up in an honary foursome on Saturday at 1:20 pm EST, playing with Greg Norman, Scott McCarron and Humana CEO Mike McCallister. But on the PGA leaderboard, the big news this weekend is the return of Phil Mickelson, who's playing in his first PGA tournament of the year. Phil has a good history here, with two victories in 2002 and 2004, so all eyes will be on Phil. The defending champion is Jhonattan Vegas, who had his breakout victory here in 2011. Also making their 2012 debuts are top PGA players Matt Kuchar and Dustin Johnson, and currently playing well are Johnson Wagner, Charles Howell II (CH3), Harrison Frazar, and Steve Stricker. Anthony Kim will be the local favorite, as he's a 2003 graduate of La Qunita High School. The Humana Challenge is a unique format, played on three different courses, including PGA West on their Nicklaus and Palmer courses, and then the neighboring La Quinta Country Club, with the final round on Sunday played on the Palmer course at PGA West. Top celebrities competed in the popular pro-ams held this week, icluding Michael Bolton, Don Cheadle, Julius "Dr J." Erving, Morgan Freeman and local rocker Alice Cooper. Don't miss a special offer this weekend on the new NIKE virtual golf balls available on WGT!